Chuhak and Tecson, P.C. is pleased to welcome two new associates to the firm: Corinne J. Pforr and Jennifer Y. Tolsky. 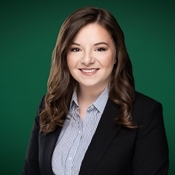 Corinne J. Pforr, a former law clerk at Chuhak & Tecson, joins the firm’s Estate Planning & Asset Protection and Corporate Transactions & Business Law practice groups. She works closely with clients to develop and implement customized estate planning documents and assists entrepreneurs and business owners through the business formation process. 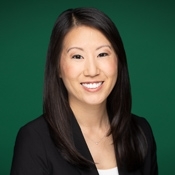 Pforr earned her Juris Doctor from Loyola University Chicago School of Law and received her Bachelor of Arts in political science from the University of Illinois at Urbana-Champaign. She is currently pursuing a Master of Business Administrations with a focus in Legal Environment at Loyola University Chicago. Jennifer Y. Tolsky joins the firm’s Estate Planning & Asset Protection practice group with a unique perspective and high proficiency in taxation. Drawing from her experience as a Certified Public Account, she methodically crafts estate and asset protection plans to successfully achieve her client’s planning needs. Tolsky stays up-to-date on tax law changes by regularly attending continuing legal education seminars and presentations. She received her Juris Doctor from The John Marshall Law School and graduated from the University of Illinois at Urbana-Champaign with a Bachelor of Arts in Economics.